Rate this Article Bearing great characteristics that are profoundly wanted over the lot of horse racing events and riding disciplines, Thoroughbreds have become a staple breed among eager enthusiasts and professionals alike. See them in games, and get to know their inner great potential. Thoroughbred breed are best known over the race courses – with resounding performances in horse racing competitions in general. Although the word thoroughbred is sometimes mistakenly used to refer to any breed of “purebred” horse, it technically refers only to a specific breed, the Thoroughbred. These breeds are considered "hot-blooded" horses – horses that perform with maximum exertion, known for their agile sprints, speed, and endurance over the race – or spirit. These horses are soundly accepted for racing competitions, and are also bred for various riding disciplines like show jumping, combined training, dressage, polo, and even fox hunting. Thoroughbreds are also used to crossbreed among other foal breeds to create new breeds that surpass the existing ones. They have also been influential in the creation of the Quarter Horse, Standardbred, Anglo-Arabian, and various hot-blooded breeds. Bearing great characteristics that are profoundly wanted over the lot of horse racing events and riding disciplines, Thoroughbreds have become a staple breed among eager enthusiasts and professionals alike. The same is true with the lot of PC-based horse games of present. The breed have a substantial acknowledgement across different game titles, bearing the same prowess, form, agility, and overall power. Over the lot horse games, the breed proves to excel over the racecourses, and even share its familiar traits when used for breeding. 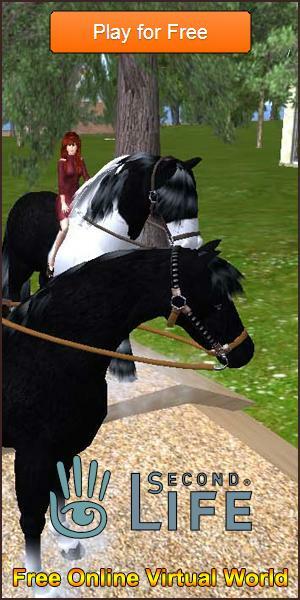 In the game, Ride: Equestrian Simulation, thoroughbreds are a standard trophy-bearer – which creates great affinity and liking among the lot of players. In this game, you can train your Thoroughbred to focus and maximize its potential before taking part in the competitions. Derby-Derby, another top notch horse racing game – enlist the popular Thoroughbred breed, which have seem to populate the race courses as they are significantly trained for these purposes. In this game, participants get to play an exciting race and get to watch them in high detail. Choosing to bet on the breed over the lot of horse competitions will surely reward you greatly. The same goes for the games like Horse Racing 3D, Horse Racing Park, and iHorse Racing, Thoroughbreds have seem to populate the race courses as they are kin to excel these competitions. While different games minutely feature breeding or even the specific choice to put into play, picturing the scenes over the lot of horse races -many of these games, if not all, showcases mostly thoroughbreds among its participants. In other games that offers features of breeding and raising a young foal to maturity – most of these games outlines specific training regimens for specific competitions with their own recommended breeds. You’d be surprised to how many games you will encounter - suggesting the thoroughbred breed for racing events and competition. Over the breeding features present on some games, the significant traits of the thoroughbreds are also wanted for topping the charts in agility, power, and spirit. As horse games come and go, and evolve from one genre to another - the statistics found in them never change. Thoroughbreds will always aim for their marks and top the races – for it is the sole reason that they have been popular among race enthusiast and took a liking from the lot of gamers.